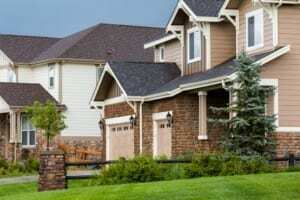 Home inspections in Colorado, you might assume, are little different than say, New York City inspections. But did you know there are particular issues with homes is Colorado seen in very few places around the rest of the country? At Hickory Property Services, we are all too familiar with these issues, and help our clients identify problems by conducting Colorado specific home inspections. Here are a few topics your home inspector should be covering, or questions that need to be asked at your next home inspection. Roof inspections are incredibly important in any home inspection, but roofs in Colorado pose a different kind of challenge, specifically if they are flat or T-Lock types. Both of these are common in the states and come with their own unique problems. T-Lock roofs are great for high-winds, but unfortunately, nobody makes shingles for them anymore. This can be a major complication with your insurance company. While not as popular, flat roofs are found throughout the state and are prone to leaking and sun damage, two weather events Colorado sees a lot of. Talk to your inspector about the longevity and challenges if you are purchasing a home with either of these rooflines. Due to Colorado’s unique geology, unfortunately, it is a hotbed for Radon. A colorless, odorless gas that sits at the lowest points of a home and is known to cause various forms of cancer. You should have an in-depth conversation and ask exhaustive questions with your inspector about radon gas and ask them to test the home. You might need a mitigation system to protect you and your family. Colorado, along with its significant snowfall counts, can see some intense rainfall as well. This creates issues for residents if their home isn’t built to withstand flooding or if it’s not correctly set up for drainage. Ask your inspector specifically if the sloping or grades are correct as this can cost you significantly in the future with a flood. Not only does “polybutylene” not rolls off the tongue easily, but it’s also not easy to find (if you can) and likely not being made anymore due to its issues. This type of piping can’t be insured, and you may have to consider repiping an entire home due to how prone these pipes are to leaking. Ask your inspector if you have this kind of plumbing and how they would handle this. Can Hickory Property Services help you with a home inspection? We encourage you to call us or reach out to us online to set up an appointment with our team.